Drink up! Or not. Soda sales have fizzled this past year by a record 3% off of a 1.2% drop in 2012. The simple reason for Americans losing their thirst has to be health related. Once consumers learn about the ingredients and health effects of what they’re guzzling down, the harder it becomes to market. The industry may be in real trouble not just because less and less folks are buying sugar-loaded options but also because this downturn isn’t new. 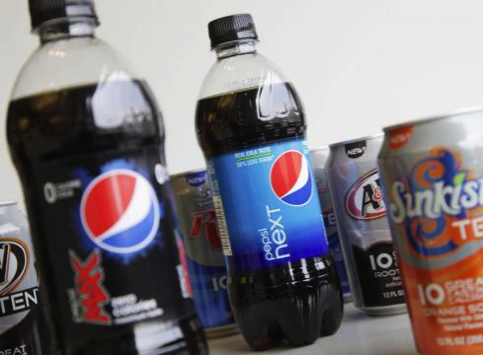 Countless amounts of money has been poured into soda rebranding efforts to make the drinks appear more health friendly with diet sodas and smaller cans, but sales have continued nosedive year after year. This latest report put out by Beverage Digest is not only a headache in the short term but the slowly eroding sales lead to a potential long-term migraine. I don’t see how these soda companies, whose pockets are pretty much bottomless, can change public perception through marketing alone. Coke has tried the “zero-calorie” campaign for almost a decade now, with no stop to bleeding sales. The strategy has just fallen flat, as hundreds of millions marketing dollars has proven and one billion more by 2016 will soon prove. Soda companies might just have to cross their fingers and wish upon a star that the health craze, whose products like tea are siphoning soda customers, is just a fad. Otherwise, this decade long slide will eventually catch up to them like a bad sugar crash. Kellogg’s Cereal Sales Aren’t Gr-r-reat! And I thought I was the only one dieting! Coke has tried the “zero-calorie” campaign for almost a decade now, with no stop to bleeding sales.